Anyone who has watched their favorite feline friend chase a toy from one end of their house to the other knows that cats like to hunt and chase things. In nature they fulfill those urges by hunting for dinner, but house cats don’t have to work very hard for their meals, so they spend their time tearing up your home in an effort to satiate those urges. 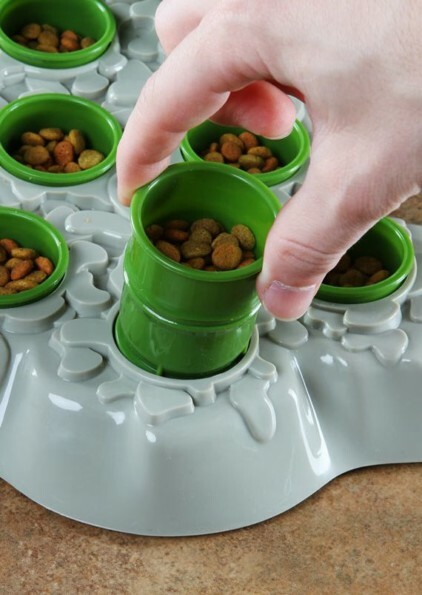 If you want to give your cat the thrill of the hunt at dinner time, get an Aikiou Cat Stimulo Feeding Station. Each time you feed your cat, put kibbles in different tubes, thus forcing your cat to hunt down the food, then reach into the tubes with their paws to get it. Now maybe your cat won’t leave their toys in your shoes so they can “hunt” them later! Now's The Time To Get Your Tickets To This Year's CatCon!